Just in case you are not connected with me on twitter or Instagram, I just found out THREE Cosmetics is discontinuing all eight of the THREE Flash Performance Eyeliner Pencils...WTF THREE! I believe they'll be on sale until August 9th. Hope this information helps those who hand these on their "want" list, or those who may want some backups. Gah, thanks for the heads up! Guess I need to buy them now. Annoying - can't believe that they're discontinuing them! Think nothing of it Kuri. I hope you're able to get your hands on whichever shades you want. I'm pretty pissed, and this couldn't have come at a worse time. All the limited edition Fall collection are coming out now, and now I have to stretch my yen out even more...annoyed! Thanks! I should be able to! I'm a bit dismayed that #4 is hard to find online already, but hoping it's still available in Taipei. So annoying that Isetan and Hankyuu already took them offline. Seriously, all the LE collections are coming out now! I may have to buy the THREE LE fall pencils now - they look the same as the flash performance ones, although the formula may be different. 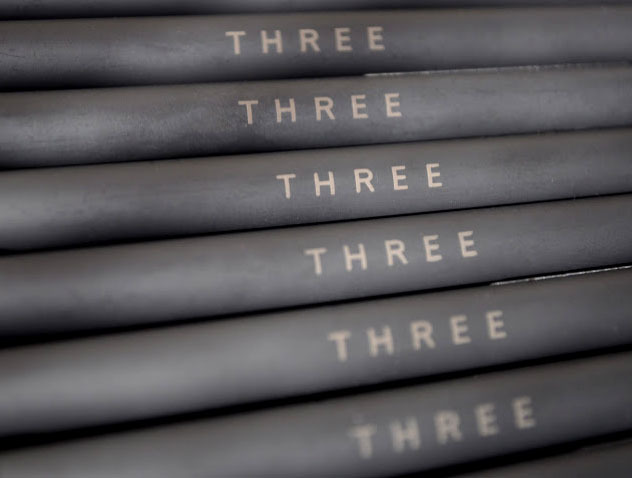 By the way, what do you think of THREE's shadow lining pencils? Cosme reviews are slightly less positive than for the flash performance pencils. I know, I've gone to several counters, and #1 and #4 are gone. I really need a backup for #4. It's very annoying that Isetan and hankyu pulled them early. Where is their regard for us, the consumer! Let's see how the new fall pencil perform. I already placed my reservation. I like the Shadow lining pencils, they work well as liners and bases. I haven't posted them yet, since I'm missing two of them. I must get on top of that. :( Tis terrible news, sis. Why do companies discontinue their things so quickly? Sissy, what are we going to do! Why has THREE (and Suqqu) forsaken us?! GODAMMIT!!!!! !I have been stalking the blog since that OPI polish review in July so that I could finally catch up with you, miss a few days and THIS is what I come back to????? "WHY GOD,WHY????!!!!" Oh Anna, I'm sorry, and I feel your pain. Hey Anna :) sure, you can post the link to the site on here. Blush, Blush Baby Giveaway Winners!